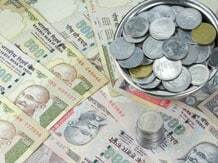 The International Finance Corporation (IFC), a member of the World Bank Group, on Wednesday issued a Rs 1,000-crore (around $160 million) Global Indian Rupee Bond to strengthen the country’s capital markets. The bond is IFC’s first rupee offering. It is the first bond issued under IFC’s $1-billion offshore rupee bond programme, said IFC. This will attract greater foreign investment at a time of renewed economic uncertainty across the world, IFC added. The three-year benchmark bond is offered and settled in US dollars. The initial subscription and the principal and coupon payments are in US dollars, with all amounts tied to the US dollar-rupee exchange rate. IFC will convert bond proceeds from dollars into rupees on the domestic spot exchange market, and use the rupees to finance private sector investment in the country. “IFC is committed to supporting the government of India in deepening the country’s capital markets,” stated Jingdong Hua, IFC vice-president and treasurer. He added the rupee bond would help attract other foreign investors to the offshore rupee market and provide an alternative source of rupee funding for investment in the country. The bond was strongly oversubscribed, with orders reaching Rs 20 billion. Investors from across the globe participated in the transaction, including asset managers, insurance companies, central and private banks, corporates, pension funds and real money investors in Asia, Europe and the US. HSBC, JPMorgan and Bank of America-Merrill Lynch acted as lead managers for the bond. Over the years, IFC has issued bonds in 13 local currencies, including the Brazilian real, the Chinese renminbi, the Nigerian naira, and the Russian rouble. Often, IFC is the first international or corporate issuer of local currency bonds in a market. When issuing local currency bonds, IFC works closely with regulators and market participants to refine the regulatory framework, encouraging greater participation in the local markets and providing a model for other international issuers. India accounted for $4.5 billion of IFC’s committed investment portfolio as of June 30 this year — more than any other country. In FY13, IFC invested $1.38 billion in India to achieve several strategic priorities such as promoting inclusive growth in the country’s low-income states, addressing climate change, and supporting global economic integration.